Join us for a special pre-screening of the documentary R.A.W. 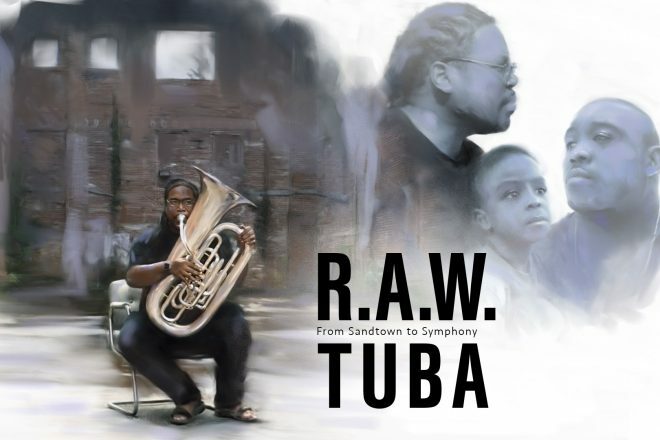 Tuba, brought to you by the award-winning filmmakers of Early Light Media (ELM). Though homeless as a child in Baltimore, BSA alumnus Dr. Richard White made history as the first African Americanto receive a doctorate of music in tuba performance; he currently is a member of the New Mexico Philharmonic and a tenured professor at the University of New Mexico. His remarkable journey shows what happens when grit collides with educators who refuse to give up. Now he’s on a mission to help youth see that anything is possible with a little imagination, a message to inspire kids in Baltimore (and everywhere). Watch the trailer here. R.A.W. is the second film in ELM’s Invisible Thread short documentaries series that highlights inspirational figures; its first Invisible Thread film, Throw, was the recipient of multiple awards, including a Capitol NATAS Emmy Award (2017), Webby Award (2017), Mountainfilm Director’s Choice Award (2016), Vimeo staff pick (2016), and multiple film festival selections across the country. It has been viewed millions of times across television, Internet, and live screenings. This special pre-screening will include a Q and A with Dr. White and film producers Darren Durlach and David Larson.